Berwick, PA – The Columbia County Volunteers in Medicine (CCVIM) Clinic recently established agency endowment and non-endowment funds at the Central Susquehanna Community Foundation. The funds were created through generous donations for the sustainability of the Clinic’s future. “Establishing these funds at the Foundation sends a message to our community that our Clinic is looking for long-term future financial sustainability so we may continue to carry out our mission in perpetuity,” said Dr. Bipin Chopra, MD, MBA, CCVIM executive director. The mission of the Columbia County Volunteers in Medicine Clinic is to improve the health of the medically underserved population in its community by offering free healthcare to the uninsured. A proud member of the Volunteers in Medicine Alliance, the Clinic provides many services free of charge, including primary and preventative care, screenings, and community education. 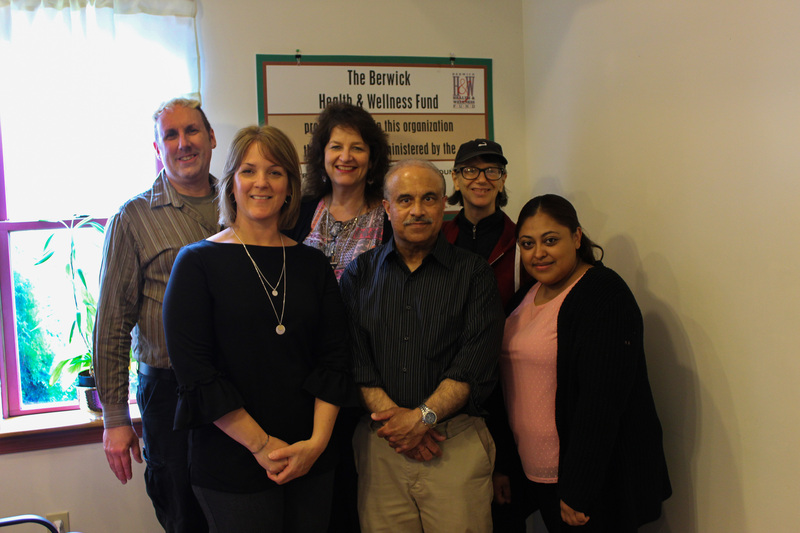 Through a long-time Berwick Health and Wellness Fund (BHWF) matching grant program for agency endowments serving the BHWF area, the Clinic’s endowment fund immediately doubled. “Columbia County is very fortunate to have an organization like the Clinic, focused on the health and well-being of those in need. We are honored to partner with them through the establishment of their funds as they continue to provide beneficial services to our community in the future,” stated Holly Morrison, Foundation president and CEO. Contributions can be made to these funds online at csgiving.org (click Donate and search Columbia County Volunteers in Medicine Clinic Fund), or mail to the Central Susquehanna Community Foundation, Attn: Columbia County Volunteers in Medicine Clinic (endowed or non-endowed), 725 West Front Street, Berwick, PA 18603. The Central Susquehanna Community Foundation manages more than 260 charitable funds and makes grant investments throughout the region to enhance the quality of life in the Central Susquehanna area. Central Susquehanna partners with regional affiliates including the Berwick Health and Wellness Fund, Bloomsburg Area Community Foundation, Danville Area Community Foundation, Selinsgrove Area Community Foundation, and Sunbury Area Community Foundation. For more information, visit www.csgiving.org or call the Foundation at 1-866-454-6692.